CR: FOX. © 2017 FOX Broadcasting. 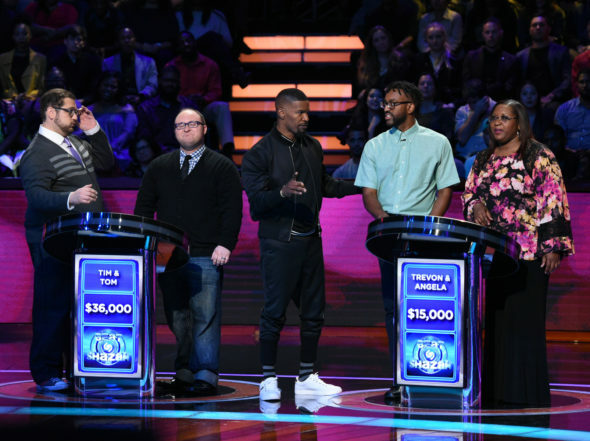 Thursday, September 14, 2017, ratings — New episodes: Beat Shazam, Love Connection, Zoo, Big Brother, Penn & Teller: Fool Us, and Whose Line Is It Anyway. Special: Truth and Lies: The Murder of Laci Peterson. Reruns: The Big Bang Theory, Mom, Celebrity Family Feud, Chicago Fire, American Ninja Warrior and Whose Line Is It Anyway.